Bob Moog's old company it offically became Moog Music in 2002. 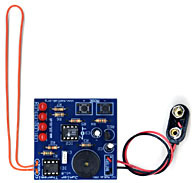 Builder of affordable theremins, there are models for serious and beginner players. Burns recently released teh B3 Pro with more sturdy antennas. 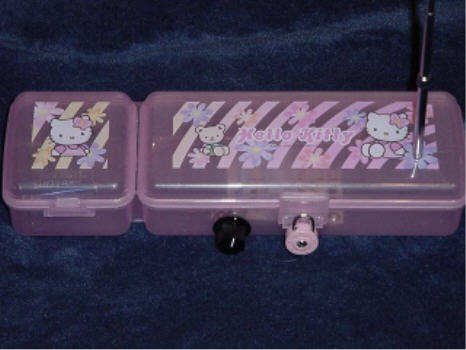 A popular Do It Yourself theremin. 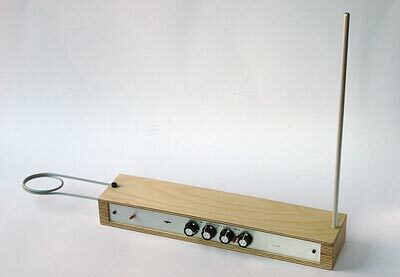 A modern tube theremin design based loosely on the RCA theremin. Also known as the Southwest Technical Products Theremin (SWTP). 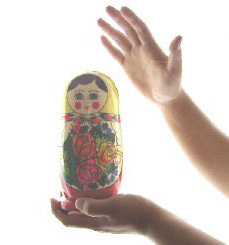 Sold in the 1970's. 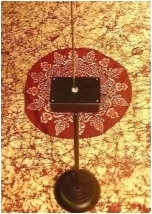 A pitch only theremin designed by master thereminist Masami Takeuchi. Availabe in Japan at Masami's web site. 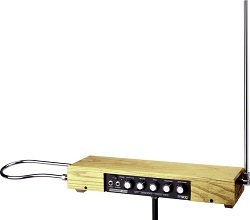 A pitch only theremin kit. Bob Moog started his electronic instrument career building theremins, his company has produced them longer than any other. The EtherWave standard has been a favorite for beginners and professionals for decades. 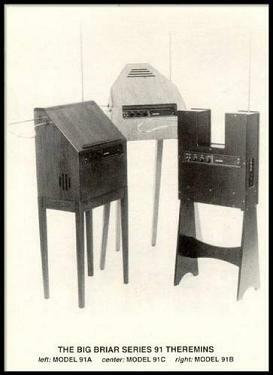 The Theremax, or Tmax, is a very popular kit theremin. Builder of tube theremins in Italy. 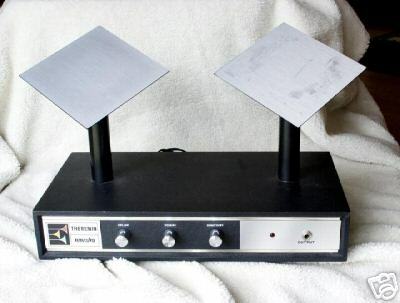 For a short time RCA Victor mass produced theremins under the supervision of Leon Theremin with the intent of making the theremin as ubiquitous as the piano. 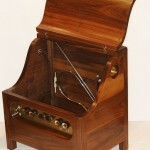 The TVox was an excellent Russian built theremin that was, unfortunately, also short lived and went out of production. A more recent builder out of Germany. 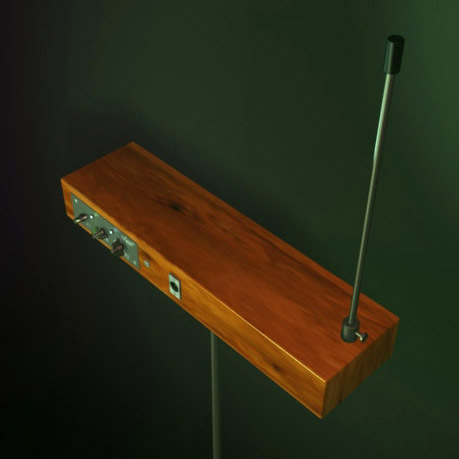 Wavefront Technologies produces two hand built theremin models: the Classic is a four-legged theremin patterened after the RCA model, and a Travel model which is built inside a hard-shell briefcase. 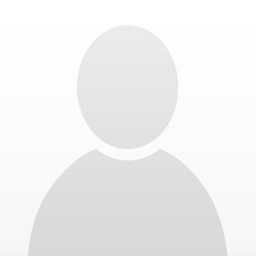 This Czech manufacturer produces the Distant Voices pitch-only theremin as well as a wide arrange of great effects pedals. 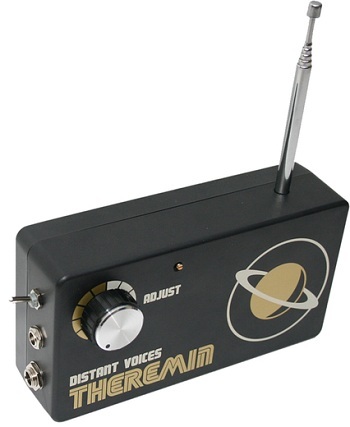 The Distant Voices theremin runs on batteries, making it extra convenient for music on the go. Check out their site for more details and videos of their gear.